We recommend hyperbaric oxygen therapy to speed healing, regenerate collagen and boost immunity. Watch the video : What is hyperbaric oxygen therapy? If you’ve taken so much as a single chemistry or environmental science class in your life, you may think you know all there is to know about oxygen. It’s the “good part” of the air any living creature uses for survival, as well as the molecule in the makeup of water which essentially generates life. However, what you may not be that familiar with is its medical use. Imagine lying in a comfortable cocoon as a soft, soothing blanket of life-giving oxygen gradually envelops you. If you’ve never experienced hyperbaric oxygen therapy, or HBOT, you’re in for a real treat. Oxygen inhaled under pressure is dissolved in all fluids of the body, so it’s more efficiently absorbed into all the body’s cells, including those in the skin. That’s why we recommend it after every laser treatment, to speed healing, regenerate collagen and boost immunity. Without a proper amount of oxygen, cellular metabolism is slowed down; the tissues aren’t properly oxygenated either and physiological functions may fail. Many are familiar with hyperbaric pressurized dive chambers used to save the lives of scuba divers who’ve gotten the “bends” after resurfacing too quickly. The hyperbaric oxygen chamber recreates the underwater pressure so that rapidly depressurized nitrogen in the diver’s blood will not cause life threatening and painful embolisms. For most of us, this is the extent of our knowledge. Hyperbaric oxygen therapy is an amazing holistic modality that has been bringing a plethora of benefits to our patients for years. Hyperbaric means increased atmospheric pressure. At sea level, with the entire earth’s atmosphere of air above our heads, we live at an average pressure of 14.7psi (pounds per square inch) or 1 atmosphere. By breathing pure oxygen in a moderately pressurized hyperbaric chamber, dramatically increased amounts of oxygen are safely delivered to all tissues in the body – even to places that have restricted blood flow or blockages. Although the history of hyperbaric oxygen therapy goes back to 1662, it wasn’t until the 21st century that HBOT finally began to emerge as a major medical therapy, both curative and preventative, producing considerable overall health improvements. Hyperbaric oxygen therapy has been used worldwide for over fifty years in the prevention and improvement of debilitating conditions, and in the enhancement of overall health. In a vast number of documented cases, HBOT has produced remarkable benefits for a wide variety of serious medical conditions. HBOT has also been clinically proven to produce a more efficient immune system, rapid regeneration of cells, and works as a potent anti-aging therapy. You may experience a temporary popping in your ears as a result of the changing pressure identical to the experience of flying. HBOT sessions are comfortable and typically leave one with a sweet lingering sense of well-being. Most therapies will include a modestly increased pressurization to approximately 1.5 atmospheres, like swimming to the bottom of a pool. 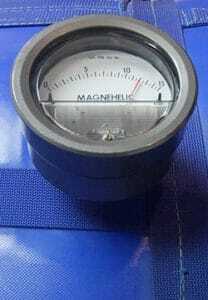 Pressurization is gradual and relaxed, allowing plenty of time to equalize your ears. 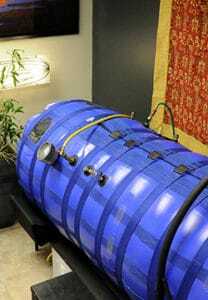 The hyperbaric chamber is cozy and is large enough for two adults. It has windows, lights, pillows, and intercom communication with the staff. In the chamber you will be breathing through a mask that is supplying you with pure oxygen. By breathing pure oxygen while pressurized in the chamber, the oxygen saturates every tissue, organ and cell in your body – even places that have restricted blood flow or blockages. Most people have a deliciously nourishing nap. Others read or listen to music. Not all doctors recommend hyperbaric oxygen therapy, but not because it isn’t beneficial. They simply have no training or knowledge of the documented results in treating serious problems such as infections, burns, and difficult wounds that won’t heal to name just a few. And the list keeps growing as the benefits become apparent. Oxygen, the key to life itself. We need it to breathe and we just plain need it to live. Each day and night we take in what we need to keep all of our internal organs working, but our largest external organ needs much more to function properly. As we age, oxygen is not able reach our cells as rapidly or efficiently as it did when we were younger – which in turn contributes to the signs of aging. If our skin doesn’t receive the adequate oxygen it needs, it can be more prone to blemishes, redness and irritation, appear thin and sallow, and have more noticeable wrinkles, fine lines and age spots. Treatments like hyperbaric oxygen supply the skin with much-needed oxygen to get it to a more optimal state and give it unparalleled luminosity. Fabulous for circulation, and responsible for giving your skin that gorgeous glow – oxygen truly is essential in order to have beautiful skin. The oxygen you breathe at increased atmospheric pressure allows every bodily fluid, including the fluid in tissues, blood, lymph and even cerebrospinal fluid (surrounding your spine and brain) to absorb the oxygen, which dissolves in the same way CO2 dissolves into liquid to make soda. Once these fluids are “supercharged” with oxygen, there is an increased oxygen supply to all the body’s systems and organs. You’ll witness peak wellness, peak energy and peak mental acuity. Healing from surgeries will occur faster and more extensively. You’ll discover amazing, restful, rejuvenating sleep and, with continued treatments, you’ll experience the anti-aging benefits of this certified and proven longevity therapy. There are many other “off label” uses for hyperbaric oxygen therapy that are not approved by the FDA. Hyperbaric oxygen therapy is not a temporary fix. Case histories demonstrate that the process is cumulative, producing progressively more dramatic results with continued use. Traumatic brain injuries are as serious as serious medical issues come, which makes the figure of over 2 million (the number of people in the U.S. who suffer such injuries each year) daunting to say the least. Such injuries are the main cause behind brain damage, which, in turn, can cause a host of issues, including motor dysfunctions, psychological disorders, memory loss, and the like. Brain scans show marked improvement in functional cellular activity in areas of trauma that were previously non-functional. The increased atmospheric pressure while breathing pure oxygen allows the oxygen to reach affected cells. 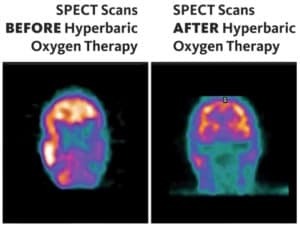 Luckily, recent research from Tel Aviv University has shed light on the benefits that hyperbaric oxygen therapy can bring to brain injury trauma survivors. The researchers conducted their study on 56 patients, divided between a control group and a group on hyperbaric oxygen therapy. Those that did receive the therapy showed substantial improvement in neural activity after two months of exposure to such treatment. A new study from UCLA indicates that HBOT treatments are extremely effective in diminishing the side effects of radiology and chemotherapy in cancer patients. 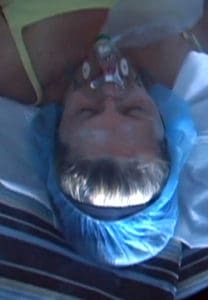 The data reveals that, “HBOT increases the amount of oxygen in the body by exposing patients to pure oxygen within a sealed chamber set at pressures greater than the ambient atmosphere.” UCLA experts believe the treatment helps cancer patients, “by stimulating growth of new blood vessels following radiation-induced damage”, which is a major physiological factor in healing damaged tissue and regenerating new healthy and young tissue. Major university studies around the globe show that HBOT treatments cause organs tissues to go through a three-phase process of: detoxification, healing and regeneration of healthy tissue. One of the more spectacular uses of HBOT, recognized even by conventional American medicine, is its powerful detoxification benefit. Thus, given that your skin is not only your single largest organ but also plays a major role in detoxification, and given that toxins in your body definitely show up as skin blemishes and discolorations, imagine the aesthetic benefits to your skin when your body has been detoxified. One of the main effects of aging is the depletion of oxygen from facial skin tissues, which, in turn, renders the skin dull, wrinkled, and old. Because oxygen inhaled under pressure is dissolved in all fluids of the body, it’s more efficiently absorbed into all the body’s cells, including the various tissues that make up skin. Accordingly, HBOT promotes the growth of collagen (the foundation of firm new skin) and encourages the accelerated turnover of epithelial cells. Now, of course, you could try dermal fillers to get rid of said issues, but hyperbaric oxygen therapy addresses the cause, not only the effects. It has been shown to successfully deal with acne, improve the quality of collagen and elastin in the patients’ skin, increase blood cell count, and repair capillary damage. The history and documented cases of successfully treated conditions with hyperbaric oxygen therapy are compelling. The list will continue to grow as more centers open in this country and as medical doctors become familiar with its merits. Bottom line, from skin to bone and from infections to relatively healthy tissue, healing takes place three times faster with hyperbaric oxygen therapy. While HBOT isn’t a miracle cure, it’s noninvasive, safe, works well with other treatments and has a growing body of documented studies that prove it helps people achieve better health and live longer with more comfortable and productive lives. It just makes you feel better! At AMA Regenerative Medicine & Skincare we encourage all of our patients to take advantage of our hyperbaric chambers after every laser treatment, as this therapy results in speedy healing, the regeneration of collagen, and an overall boost of immunity. Our patients rave about their experience as well as the positive effect the HBOT has had on their skin, energy levels, general performance as well as their speedy recovery.